I was on a business trip to Nice and had a free Sunday. I like play slot games and i decided to visit Monte Carlo, Monaco. 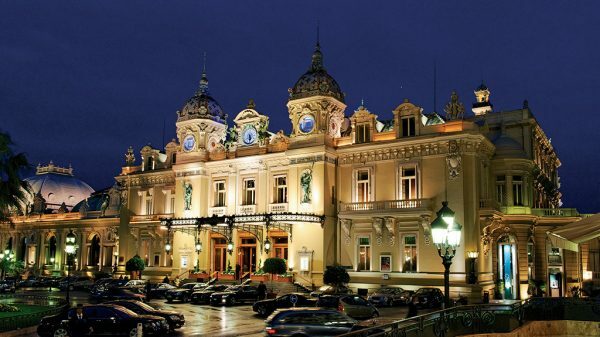 Monte Carlo is a favourite location for lovers of casino gaming. Monte Carlo has a picturesque scenery, long history, lovely sights and numerous places of entertainment, including some of the most prestigious casinos in the world. First i go to The Casino de Monte-Carlo which is claimed to be the most prestigious casino in the world. It was designed by Jules Touzet, a French architect. It was founded as early as 1863. You must pay €10 entrance fee per person. I managed to walk out of the building with three times the cash I brought in (came with €500, left with €1500). Lucky! Than i went to early dinner. After dinner I went to Casino Café de Paris. The Casino Café de Paris offers a wide range of table games and more slot machines than any other casino on the French Riviera.Those who appreciate science fiction and futuristic interior design will find this casino a great place to visit. I’ve tried a lot of games here, but I was not be lucky as i be on Casino de Monte-Carlo. That’s why I decided to try another casino in Monte Carlo. Last casino i visited be Monte-Carlo Bay Casino in the Monte Carlo Bay hotel located in the heart of Monte Carlo . I try my luck on the new-generation slot machines, thinking I had as good a chance on that as on any of the games. It was cool watching a bunch of other players begin to consider my play on one slot machine once I started winning. I had a good time and haved luck on my day trip in Monte Carlo, so i probably be back in Monte Carlo soon as possible. « VR and Switch players to get remastered L.A. Noire game!